Are provincial gunmakers a dying breed? 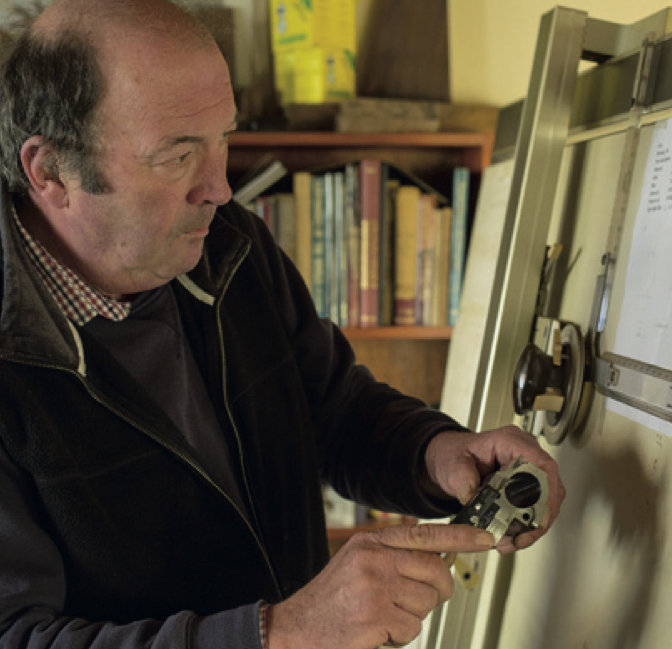 John Hogan, one of the most accomplished and experienced gunsmiths in the Midlands, views the future of his trade with growing anxiety. He points out that in the ailing Birmingham Gun Quarter, where he served as an apprentice in the 1960s, more than 70 per cent of the gunsmiths are now in their mid- 50s, at least. He knows of none under 30. 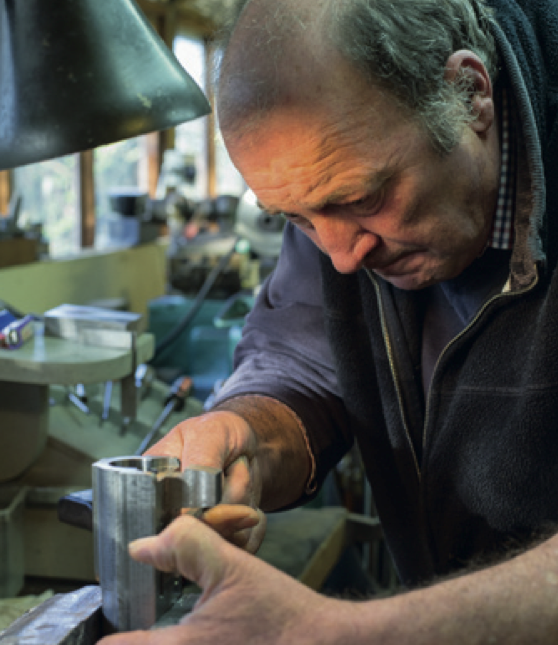 Most of the older generation will retire soon – so craftsmen with the traditional skills of making shotguns by hand will eventually become a rarity. I found John in his workshop near Shipston-on-Stour, Warwickshire, working on the stock of a vintage 10-bore hammer gun made in the 1870s. It’s being restored for its owner, which includes having a new stock and fore end made before being laboriously oil finished by hand. My visit to John’s workshop could not have been better timed to illustrate his concerns about the future of his trade and the scarcity of younger men equipped with the skills to meet future demand for hand-made guns in the United Kingdom. I watched the intricate nature of his work on the stock of the vintage gun. He told me what he was doing: “I’m inletting heel and toe-caps on a new stock I’ve made. The purpose of these is to protect the end of the stock and add an element of embellishment and engraving. It was a very traditional touch on the old hammer-guns of that era. John used a small piece of wood as a ‘lamp’ dipped in oil and having lit it he ‘showed’ it to the wood inlets where the metal was to be fitted. He laid the component gently across the wood and tapped it in. A smoke mark left behind on the wood enabled him to ‘read the smoke’ and cut in the appropriate area until the component fitted perfectly into the stock. “As I go slowly and patiently I get a greater and greater reading of connection with the wood. Things such as this are some of the classic tricks of the trade that an apprentice would learn in his time with a gunsmith. Smoke-reading using a smoke lamp is used right across the board in the various processes of gun-making, such as ‘jointing’ the barrels to the actions. A smoke-lamp is vital in gun-making. “We use different finishes on old guns. Traditionally it is a beeswax and linseed oil-based finish incorporating terebinth. When the stock has been subjected to abrasive papers and rotten stone (fine powdered porous rock) we then wet it in water and dry it off with a gas flame. This raises the grain in whiskers and we cut that back off. Then we use grain-filler and start applying red oil which has the correct stain. “An oil finish cannot be hurried because we have to apply it on a daily basis and then rub it off and so on. The oils have to dry and harden which means it can take two to three weeks to get a satisfactory finish. “In the volume manufacturing end of the business much quicker processing is required and synthetic modern polyurethane varnishes are sprayed on and then hardened off in a kiln. The end product may have the same ‘feel’ as an old gun but the aesthetic appearance of an oil-based satin finish is preferred in this country. “The market doesn’t like a shiny gloss varnish finish. The oils I use now and the exact way I use them are the same as when I was an apprentice, in fact exactly the same as gunsmiths used 100 years ago. “My concerns are that as the trade moves on we are failing all the time to introduce a sufficient number of apprenticeships. Some companies are doing this but overall we are failing to set up a structure of training apprenticeships for the trade. We have not yet come together collectively to do something positive. Many of us are older people now and we won’t be here forever. These old skills must be passed on. “The apprentice might work later in life on manufacturing guns using modern technology, but his comprehension of guns and the hand fitting techniques and traditional finishing will stand him in good stead. “Even in an automated assembly-line the final fit of barrel to action still requires gunsmith fitting no matter how high the volumes being produced. So the area where we may get stuck is the final skill aspect – the final fitting and finish. “This in no way is intended as a criticism of manufactured guns. There is mind-boggling Computer Numerical Control machinery available now ensuring repeatable accuracy that can do all sorts of tasks which couldn’t be done in the past. But the job I was doing earlier, fitting a toe cap on an 1870s hammer gun, could not be done by CNC machinery on a one-off basis because of the cost. “These sorts of skills must be perpetuated so we can carry on with restoration work, customising, repair and service, of high quality hand-made guns to exacting standards. If we’re going to go on producing a skilled labour force for the gun trade then we need more training and funding to do it. The son of an Irishman from County Cork and a north Norfolk farmer’s daughter, he fancied being either a boat-builder or a gunsmith when he left school. However, by the 1960s yachts and dinghies were predominantly fibre glass – which bored him – so in 1967 he turned to gun-making and the exacting challenges of precision engineering. He discovered the craft was fragmented into sections, each requiring a specialist and that the business of making hand-made sporting guns required teamwork. Part of an apprentice’s job was to do ‘run work’ delivering batches to the next craftsman in the chain. He says: “There are gun gaffers, barrel filers, barrel blackers, actioners, tube producers, hardeners, finishers and stockers – the latter doing the woodwork. Then there are the engravers, who do the metal embellishment. So there are many specialists involved in making a gun. “Over the years I have learned many of these skills but recently I have specialised in stocking. We work with French walnut, a beautiful wood, which has seven grades and can cost anything up to several thousand pounds for one single piece. Very high grade steel is also used on guns that command the highest prices. “A shotgun is often looked at as a fairly simple piece of mechanical engineering. There is only one problem with that – a gun weighs only about seven pounds and into the middle of this little mechanism we create a three and a half ton explosion; the overloadcharge. So everything has to be precisely engineered to cope with that recoil and stress. “After the steel in a gun has been hardened (heat treated) each one has to be independently tested by law through what is known as a proof-house – before it is allowed to go to the client. There are two proof-houses in the United Kingdom; one in London and one in Birmingham. “As I have said, bespoke gun-making remains a matter of teamwork although these days the various specialists have moved out of the gun quarter in Birmingham and tend to work from small workshops or home like I do. They could be based anywhere in the country. “With hand-made guns different components tend to be made by different suppliers and then brought together for assembly, filing and fitting. There were exceptions in the old days – WW Greener for example was pretty much self-sufficient by retaining practically the entire skill-set in house. He reminisced: “The Birmingham Gun Quarter was traditionally the centre of the world’s gun manufacturing industry controlled by famous companies such as Joseph Bentley, Galand and Sommerville, A A Brown & Sons, W W Greener, Farmer and Galton, Parker Hale, Webley and Scott, and Westley Richards. English customised gun makers remain world leaders – but with the classic brands now often under foreign ownership. Names such as James Purdey & Sons, Holland and Holland, William Evans, AJ Churchill, James Woodward & Sons and Holloway & Naughton make guns that can cost tens of thousands of pounds. 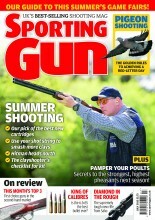 High net worth individuals are prepared to pay big money for a sporting gun with the right name on it. The young generation of city bankers and derivative traders are said to attach great snob value to a gun whose pedigree will impress others on a shoot. After his five-year apprenticeship and then a period working in Spain for a company importing guns, John became a founder member of Hogan and Colbourne, based at Alscot Park, near Stratford-upon-Avon. He and the late Peter Colbourne developed a loyal customer-base – creating three different categories of hand-made guns in a price range from the thousand-pound mark up to seven and a half thousand pounds. The partnership lasted several years before John moved on to do other things on his own, specialising in stock machining for the trade and rifle-making under the brand Ross-Shire Rifles of Scotland; much of it for deer-shooting. Very few of the guns and rifles he has worked on in a long career have gone out inscribed with his name. That’s because people in the trade will order a gun and want to brand it with their own name or because the final product is the exacting work of a team of people. Unsurprisingly John has been a keen shot himself since the age of nine – his son, a Warwickshire gamekeeper, has carried this on – and John has a preference for coastal wildfowling for duck and geese. Norfolk and the Wash are famous for this but coastal shooting is also popular in Scotland. Enthusiasts use bigger bore guns – eights, tens and fours – because the wild quarry flies fast and high. At the moment he is in the process of making a single barrel four-bore wild- fowling shot-gun that will be of the highest quality.